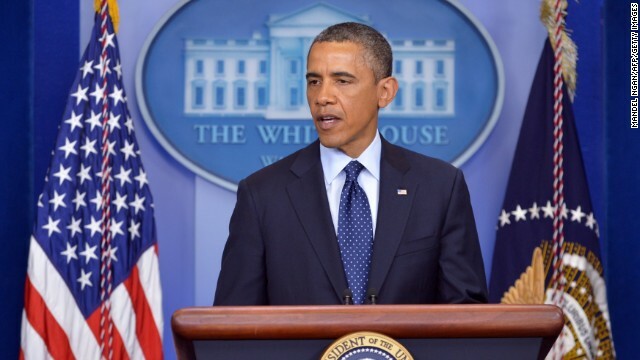 (CNN) – President Barack Obama delivered a statement on the Boston bombings Monday from the Brady Press Briefing Room in the White House, where he vowed to get to the bottom of the deadly attack and pledged the "full resources" of the federal government to respond. See his full remarks below. "Good afternoon, everybody. Earlier today, I was briefed by my homeland security team on the events in Boston. We’re continuing to monitor and respond to the situation as it unfolds. And I’ve directed the full resources of the federal government to help state and local authorities protect our people, increase security around the United States as necessary, and investigate what happened. I’ve updated leaders of Congress in both parties, and we reaffirmed that on days like this there are no Republicans or Democrats - we are Americans, united in concern for our fellow citizens. We still do not know who did this or why. And people shouldn’t jump to conclusions before we have all the facts. But make no mistake - we will get to the bottom of this. And we will find out who did this; we'll find out why they did this. Any responsible individuals, any responsible groups will feel the full weight of justice. Today is a holiday in Massachusetts - Patriots’ Day. It’s a day that celebrates the free and fiercely independent spirit that this great American city of Boston has reflected from the earliest days of our nation. And it’s a day that draws the world to Boston’s streets in a spirit of friendly competition. Boston is a tough and resilient town. So are its people. I'm supremely confident that Bostonians will pull together, take care of each other, and move forward as one proud city. And as they do, the American people will be with them every single step of the way. Comparable to a typically Obamanable droning day in the middle east. Let's get down to business and find out these pieces of garbage are and then crush them! President Obama has been the terrorist's worst nightmare and the evil people who did this crime will be caught. Would Rand Paul use a drone to take them out if they couldn't be caught by conventional methods? Would he allow them to escape rather than send them to Hell where they belong? Paul would like to ignore this scenario in his foolish rants. GOD BLESS AMERICA and the VICTIMS of this senceless attack! To much hate in this world. Maybe people need to look at themselves and try understand that inorder to live in a better world we need to try understanding eachother instead of condemning eachother. And we salute all those who assisted in responding so quickly and professionally to this tragedy. Indeed we do Mr. President. Thank you for speaking on our behalf. But I just want to reiterate we will find out who did this and we will hold them accountable. That means that who ever did this is going down ! Obama, the SPOTUS does not consider this a terrorist act but a "man made act". America wake up, you are being fooled by this poser in the White House! Boston is a great city. Our thoughts and prayers are with you. God Bless Bostin and God Bless the citizens of America.